Donald Trump’s next head of the Environmental Protection Agency (EPA) could be his most inspired and devastatingly effective pick yet. The name of this dark horse candidate is Don van der Vaart and if reports that he is being considered are true, then he may go down in history as the first EPA administrator who actually has a clue what he is doing. Since Richard Nixon founded the EPA in 1970 – presumably as a cynical bid to greenwash his tarnished image at the height of the last eco-craze – the organisation has been run by a string of useless placemen and placewomen, who’ve done little that actually helps the environment, but plenty to burden the economy, consumers and business alike with more pointless regulation. DDT is not a carcinogenic hazard to man…DDT is not a mutagenic or teratogenic hazard to man…The use of DDT under the regulations involved here do not have a deleterious effect on freshwater fish, estuarine organisms, wild birds or other wildlife. Ruckelshaus, who had not attended the hearings or read the report, overruled him. Which probably made not much difference in the United States. But the knock-on effects of the near worldwide ban that followed meant that DDT could no longer be used to control mosquito populations, which in turn led to an explosion in malaria, causing the death of millions. Mind you, compared to some of the idiots who’ve taken the job of EPA Administrator since, Ruckelshaus must rate as a veritable Einstein. Probably the worst were Obama’s appointments. First, was Lisa Jackson who had previously had a disastrous stint as commissioner of the New Jersey Department of Environmental Protection. An ideal choice, then, by Obama to run the most powerful environmental regulatory agency in the U.S., with 17,000 employees under her. Jackson’s reign of terror at the EPA – in which she lived up to her early promise by helping to cripple the U.S. coal industry, delay Keystone Pipeline and have a harmless trace gas (carbon dioxide) re-branded an environmental hazard – only came to an end after it scandal in which she was found to have been using an illegal separate email account – Richard Windsor – in order to elude Freedom of Information regulations. After Jackson, came Gina McCarthy another green zealot – chosen for her political correctness and passionate belief in climate change rather than her scientific expertise. On her watch, the water at Flint, Michigan was contaminated with lead, an EPA senior official (whom McCarthy had supervised) was charged with stealing nearly $900,000 of government funds, and the disastrous, expensive, ineffective, pointless Clean Power Plan. 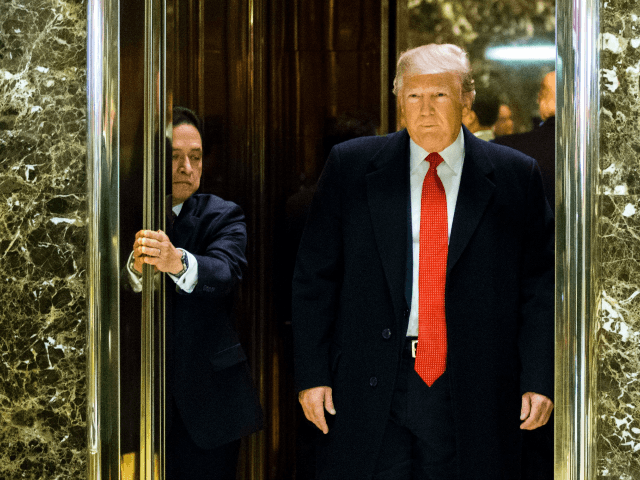 As should be obvious by now, President-elect Donald Trump sorely needs a new broom capable of sweeping away the Augean mess at this misbegotten institution, which is funded by the US taxpayer to the tune of $8.2 billion a year, but has been estimated to cost the US economy another $350 billion a year in terms of regulatory burden. Don van der Vaart, currently Secretary of the North Carolina Department of Environmental Quality, is just the man to do it. For a start he has an actual science PhD (in chemical engineering) – something, astonishingly, none of previous incumbents at the EPA have ever earned. Another plus is that the Watermelons – green on the outside, red on the inside – of Big Eco absolutely loathe him. Van der Vaart’s outspoken skepticism about the potential of wind energy and solar power troubles many environmental leaders in the state. They say the secretary is anything but balanced when it comes to weighing the risks and rewards of alternative energy sources. Finally, he’s got his priorities right. Unlike the ideological greenies, he understands that while of course it’s important to have a clean environment the people who live in it matter too. “What it really is protecting the environment while we keep energy affordable,” van der Vaart said during a recent interview. “Because energy prices are absolutely fundamental for developing good paying jobs and as a weapon against poverty.